Newly-installed Task Force-Davao (TF Davao) commander colonel Consolito Yecla vows to maintain the safety and security of Davao City during his command. “The center of my mission is to make Davao City safe,” Yecla, in yesterday’s AFP-PNP Press Corps Media Briefing held at the Royal Mandaya Hotel, said. 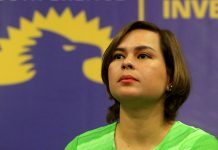 Yecla, who served as the secretary of the Joint Staff of the Armed Forces of the Philippines (AFP) for almost two years, officially took the helm of the Task Force Davao on March 28 in Sta. Ana Wharf. The new commander said he will maintain the agency’s existing security system that was shaped by former TF Davao commander colonel Nolasco Mempin, who will become the new chief of the Army’s 1003rd Infantry Brigade, replacing Brig. 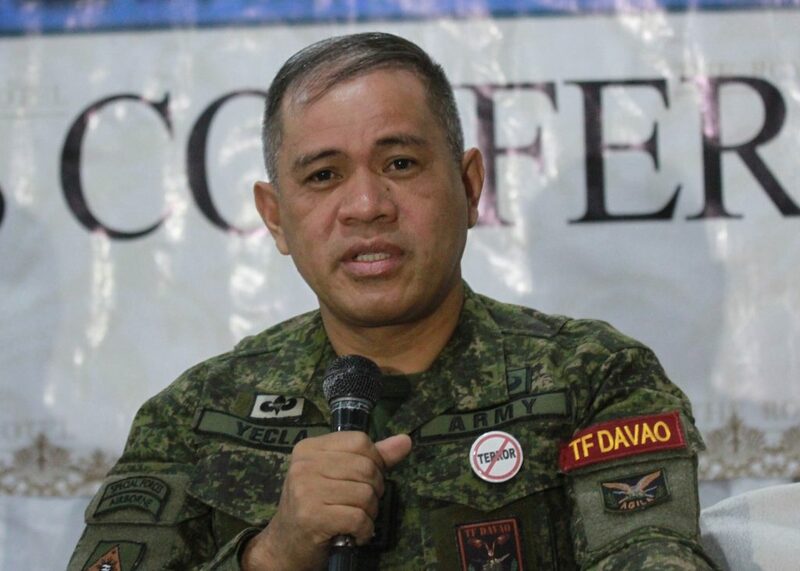 Gen. Ernesto Torres Jr.
After Mempin fulfilled his duty to make Davao City register a “zero bombing” incident for two years after the Roxas Night Market bombing in 2016, Yelca said it is now his challenge to sustain what the former commander have started. “Although successful yung nagawa ng previous commander, we should never lower our guards down,” Yelca said. Leading the force for more than a week, Yelca said he is working on updating the TTP which stands for Tactic Technique Procedures. Yecla also vows to sustain the effectivity of checkpoints especially it will be provided now metal detectors. TF Davao, said Yecla, will strengthen its monitoring in the coast lines and will constantly coordinate with the Maritime Council to enhance safety and security. 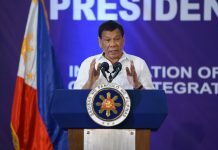 “We will build up Intel nets sa dagat to identify suspicious actions,” he added. Yecla also said they will expand and strengthen their force multipliers through adding Citizen Armed Force Geographical Unit (CAFGU). “We already have 80 people training for CAFGU. Actually, everybody can be part of our force multipliers,” he said. Lastly, Yecla said they will strengthen their intelligence coordination not just within the city but also neighboring cities in the region must be involved.